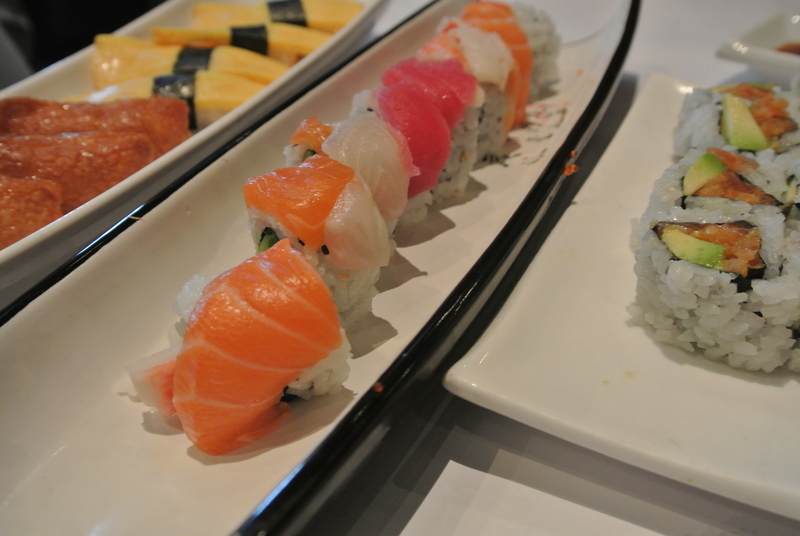 Compared to Vancouver, Toronto doesn’t nearly have as many good quality all-you-can-eat sushi restaurants. So when my colleague S mentioned Spoon and Fork All-You-Can-Eat Sushi/Thai Restaurant, I was a bit skeptical. Well I decided to give it a try of course and last week, S and I went to Spoon and Fork for dinner. Their menu is available online so S and I had a game plan on what we wanted to try – you almost have to for all-you-can-eat restaurants otherwise you can waste some valuable calories 🙂 To my surprise, the variety, the presentation and quality of the food over delivered on my expectations, and you can tell by the photos that they didn’t skimp on the sushi! By the end of dinner, I was stuffed! Its very deceiving but sushi and the deliciously spicy thai food quickly filled my tummy up! Definitely worth another visit, especially at $27.99! 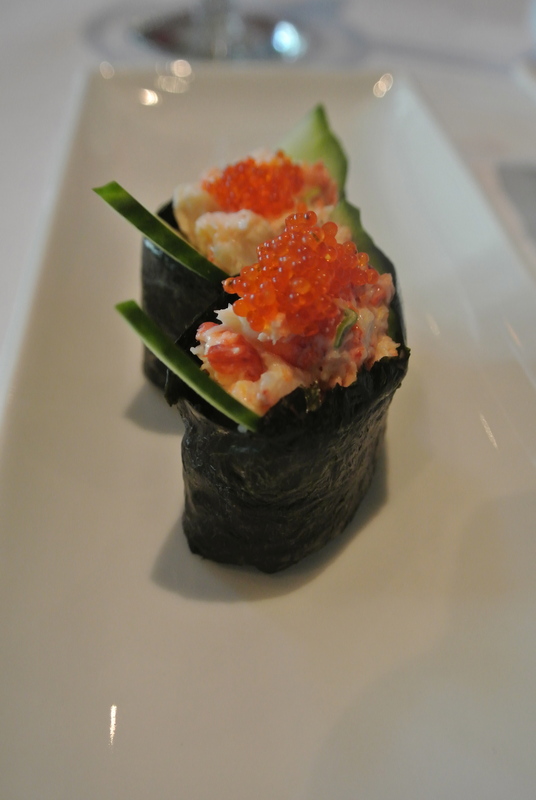 Spoon and Fork special – Lobster sushi. 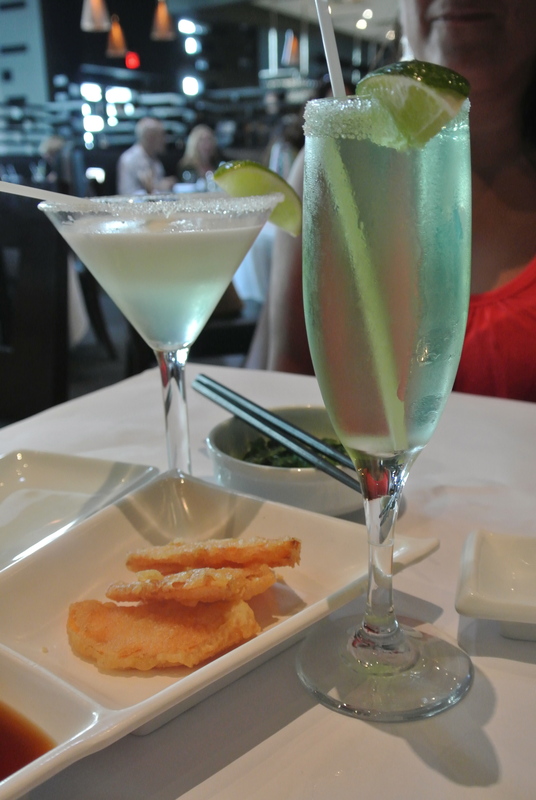 A couple of specialty cocktails – both made with lychee liqueur. 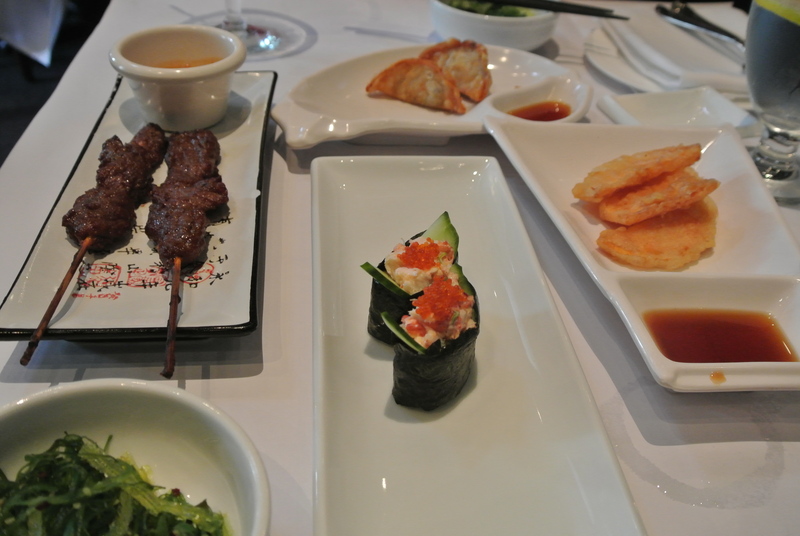 Our appetizers: seaweed salad, beef satay, lobster sushi, gyoza, and sweet potato tempura. Sushi course – tamago, inari, dragon roll and spicy salmon roll. 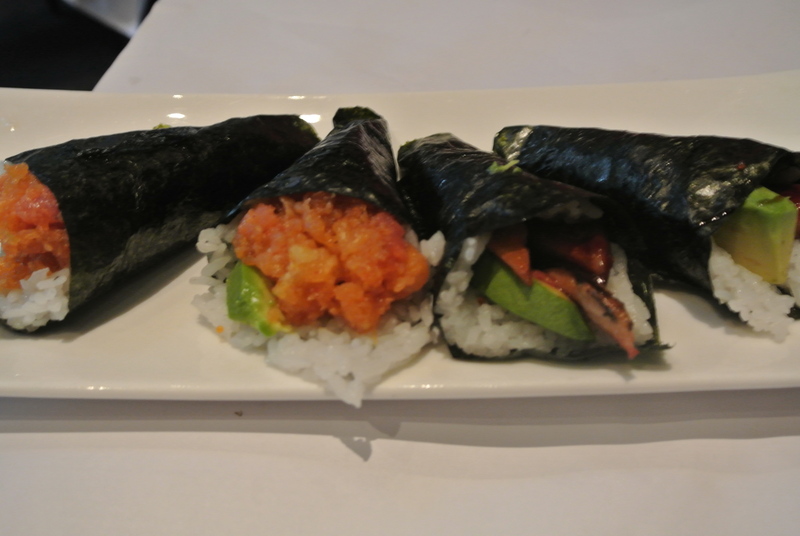 Handroll course – spicy tuna roll and unagi rolls. 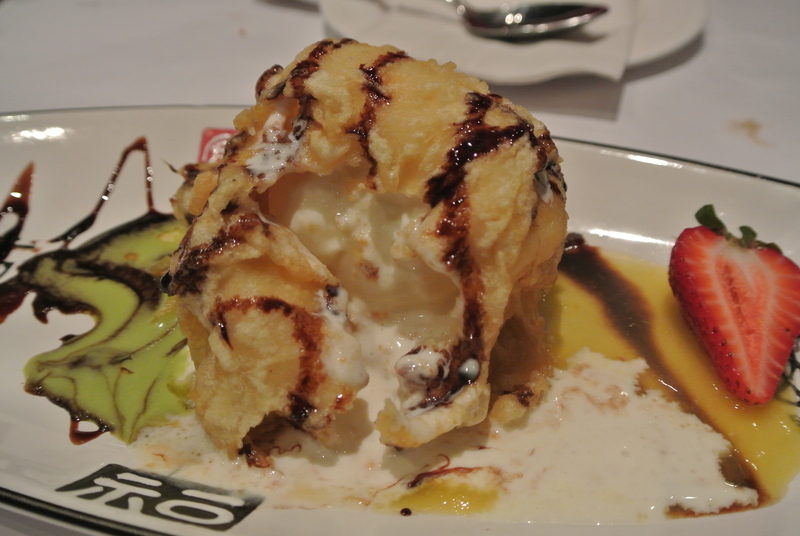 Dessert course – tempura fried ice cream…..surprisingly really good!